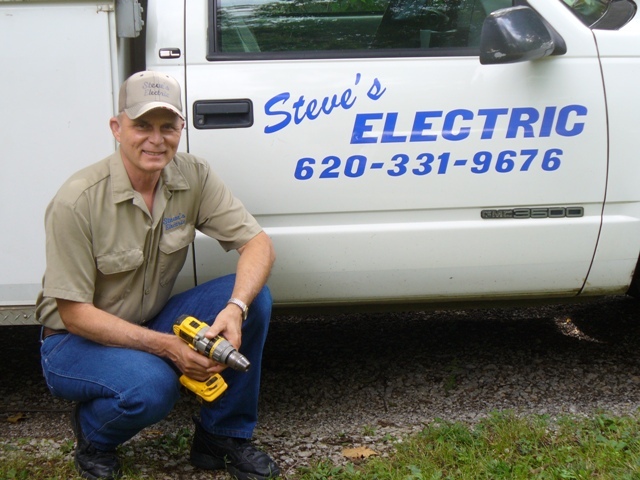 After working for the past 18 years with Mike Moore Electric, I have started out on my own in June of 2013. My wife and I have lived and worked in the Independence area for over 35 years. We love the community and we want to continue to grow and be a blessing to the folks here. I have many years of experience in the electrical field. I hold a technical degree in electricity from PSU and also do continuing electrical training on a yearly basis. Besides heaving worked for hundreds of individual customers I have done electrical work for many businesses here. Amazon, John Deere, Coffeyville Resources, Wal-Mart, Cato, Dollar Store, Microtel, Super8, Subway, El Pueblito, Sonic, McDonalds, ICC, USD-446, Montgomery County, KDOT, and many others. I will do your work with professionalism and integrity, Thanks for the opportunity.